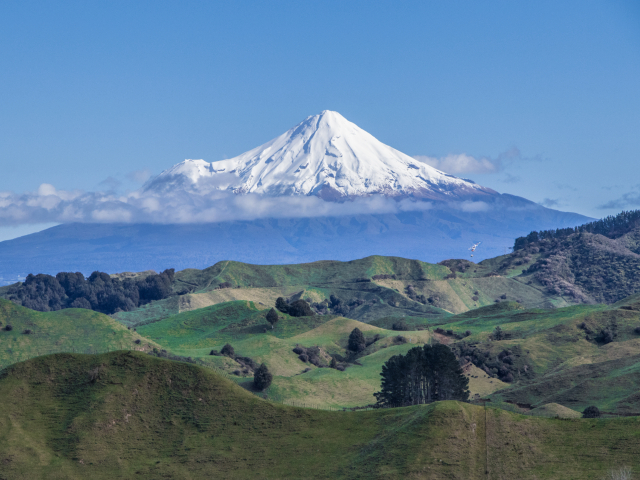 With arguably the best views of Mount Taranaki along the Forgotten World Highway, the Strathmore Saddle is a great stopping point and one of four naturally formed saddles. 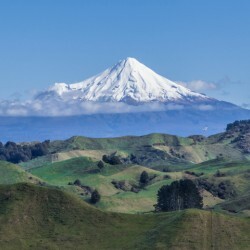 Take the opportunity to breath in the fresh air and enjoy the spectacular views of Mount Taranaki in the west as well as Tongaririo, Ruapehu and Ngaurahoe in the east. The Strathmore Saddle is a reminder of New Zealand’s tectonic history. Situated next to a fault line, the surrounding hills display fossilized shell outcrops which once lay at the bottom of the ocean floor. Somewhat unbelievable when your standing on the steep slopes of Eastern Taranaki however they do make for a great photo opportunity. There is a heritage plaque describing the significance and challenges presented by this saddle.